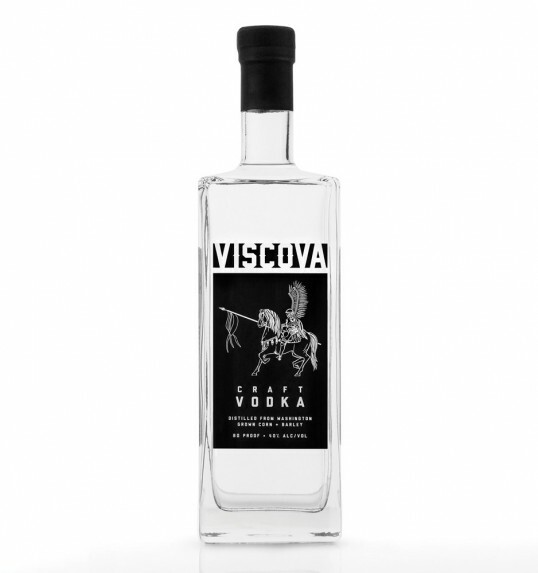 “The Viscova Vodka package is inspired by the renowned Polish Winged Hussars, the elite Polish Calvary unit of the 16th to 18th centuries. The clean black label shows an illustrated image of a proud, mounted winged Hussar with a traditional long lance. John and Steve Vissotzky, two brothers of Polish descent, founded Double V Distillery in 2009, and make the traditional small batch Viscova Vodka in copper stills in Battle Ground, Wash. The brand name and label graphic pay homage to the ancestral roots of the two brothers. The label was screen-printed to give the bottle a clean, streamlined aesthetic. The black-on-clear look and unique shape of the bottle were designed to standout on the crowded vodka shelves of liquor and grocery stores. But what have Hussary to do with Vodka?